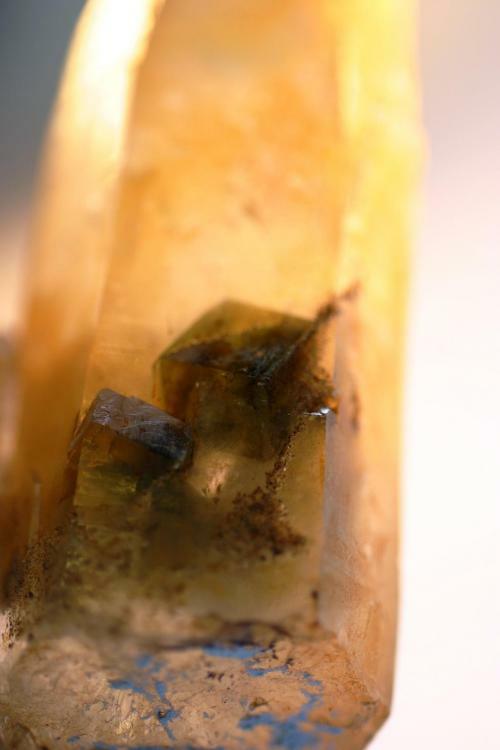 I wondered if any members might have an interest in sharing images of intact mineral specimens with interesting inclusions, especially the whole specimen accompanied by a detail of the inclusion(s). 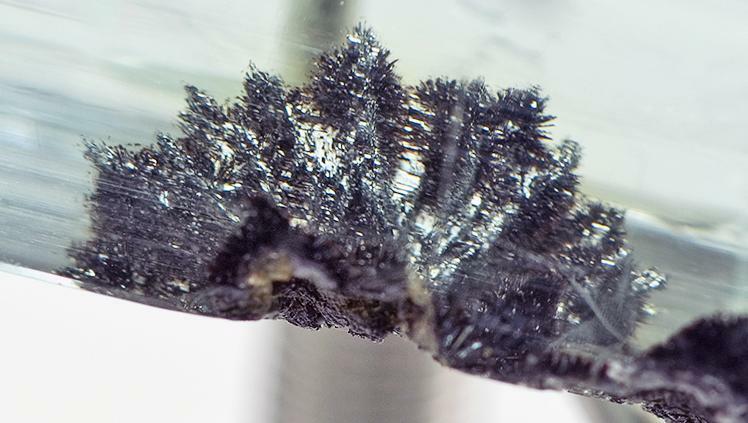 I think that seeing inclusions in the context of its host crystal for a variety of minerals would be fascinating - even if it is just an arrow pointing to the location of the inclusion or a description of its relationship to the host crystal structure. 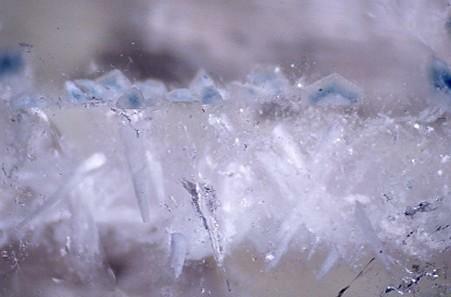 We've had some separate threads about specific species or types of inclusions, such as the helical one https://www.mineral-forum.com/message-board/viewtopic.php?t=1337 but maybe a thread of a more general nature would grow. I am thinking of Alfredo's quip to me which went something like "inclusions are just minerals with expertly trimmed matrix" ... or something like that. What prompted this inquiry was that I stayed up half the night studying a collection of several dozen inclusion specimens which I only had access to for less than 24 hours before I had to return the box back across the country. Part of the fascination for me with inclusion science is learning how something came to be - studying one 400 micron mineral inclusion in detail has recently taken me to both Brookhaven and Argonne synchrotrons ( that might be considered overkill!) 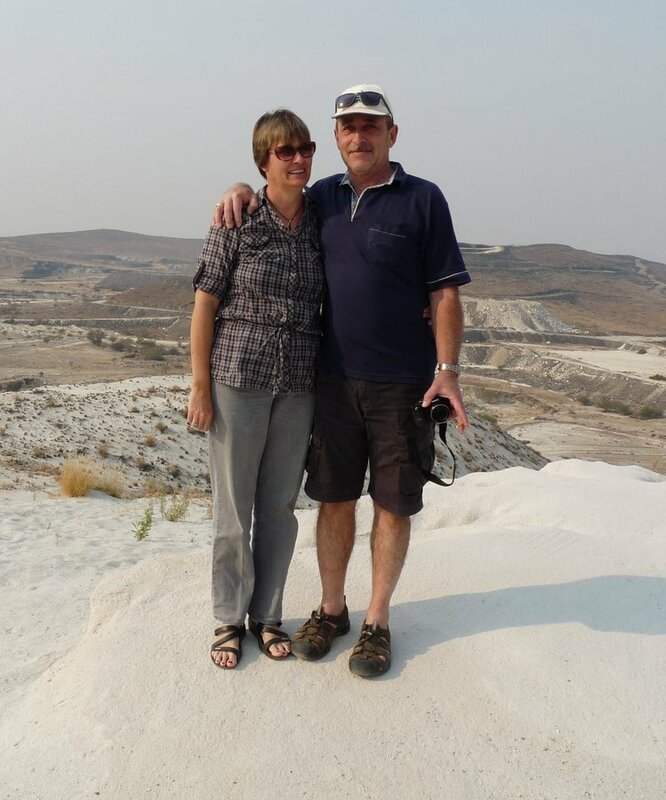 - there was not enough time with this collection to work out what was going on crystallographically in the pieces, which as you can imagine, is more difficult to do after its transformation by the lapidary artist. 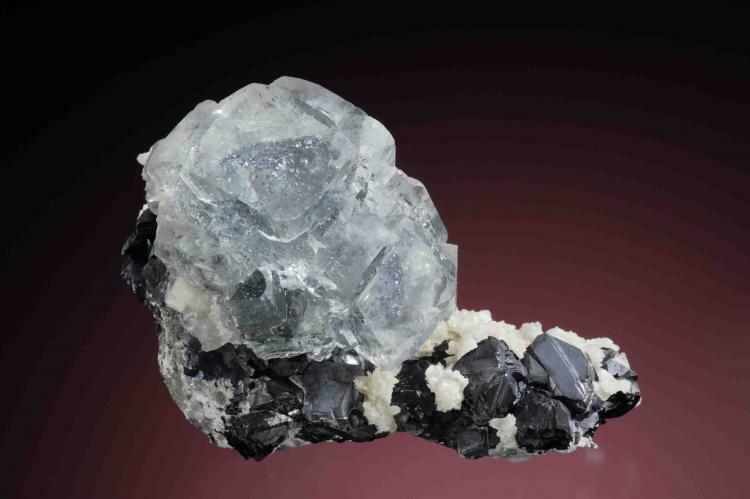 Unfortunately, most specimens I see are already fashioned into a bead or gem or sculpture etc - I am curious if there is a faction of mineral collectors who specialize in unadulterated included minerals - or maybe "rough & cuts" (or at least a polished window through which get a better view). 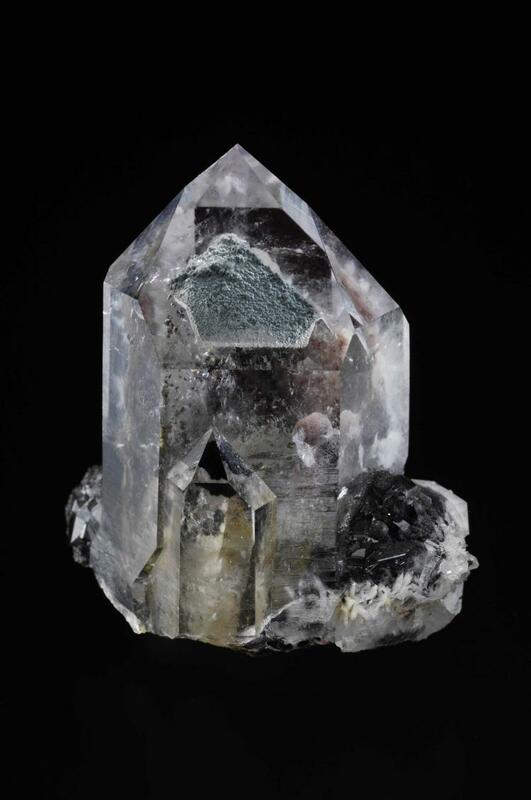 I am already starting this off badly - I don't have a natural specimen to share for the fashioned ones I am posting below; I can only imagine how the crystal may have appeared -- I just thought it was neat and hope that Jordi doesn't evict me as a crystal chopper. These are 2 pieces I examined last night which made me wish I could have seen the original crystal, though it is fun to also figure it out just using the microscope: The "polka dots" are centered around the c axis of the quartz, roughly indicated by my attempts to insert a line, and are apparently formed under the rhombehedral faces, 6 total with one cab showing a second set below. I assume these are phantom formations and the "blooms" are hematite - each oval is composed of hundreds of colorful concretions. 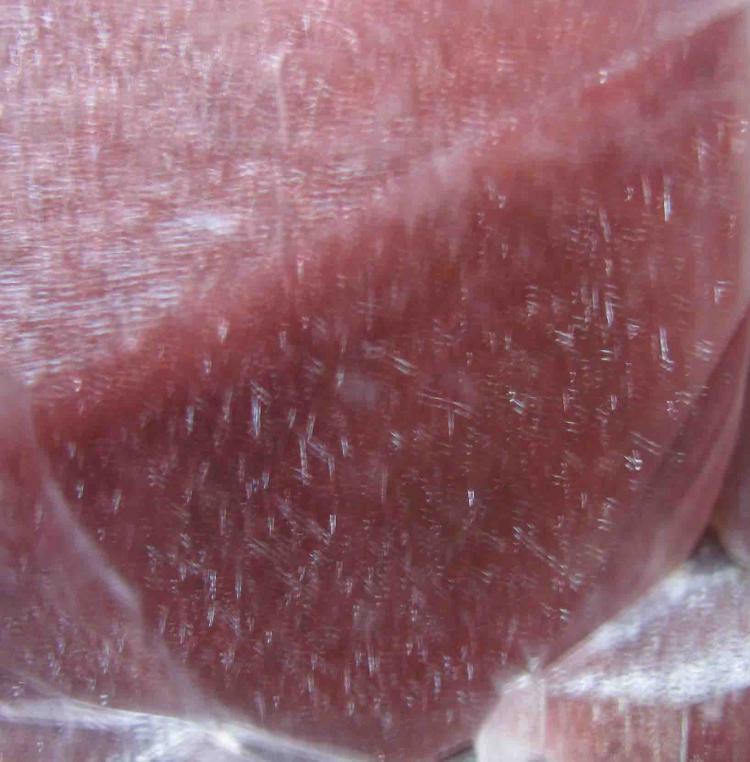 Has anyone seen natural quartz crystals with these within? I think it would be a spectacular sight! I shall try to post another example later. 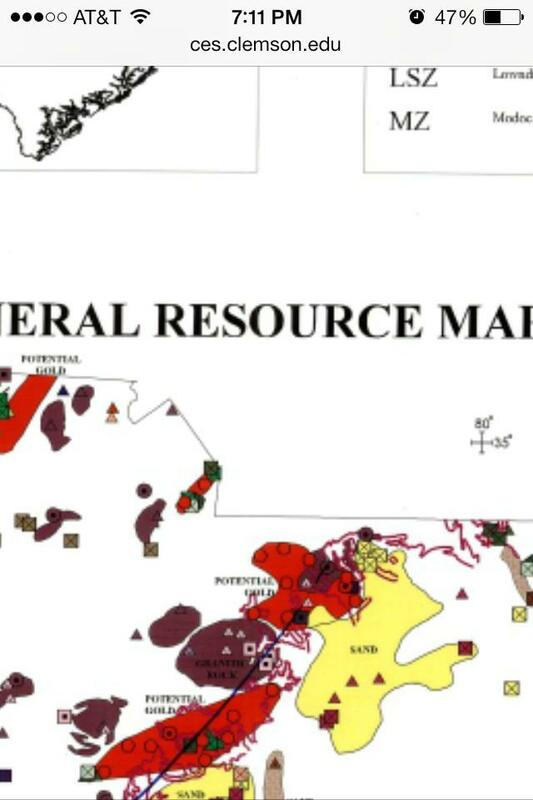 Good idea for a thread, but, if the haematite spots are arranged symmetrically around the c-axis they could be portions of a haematite skin coating the original rhombohedral faces. Clever cutting would preserve these as more or less round spots. 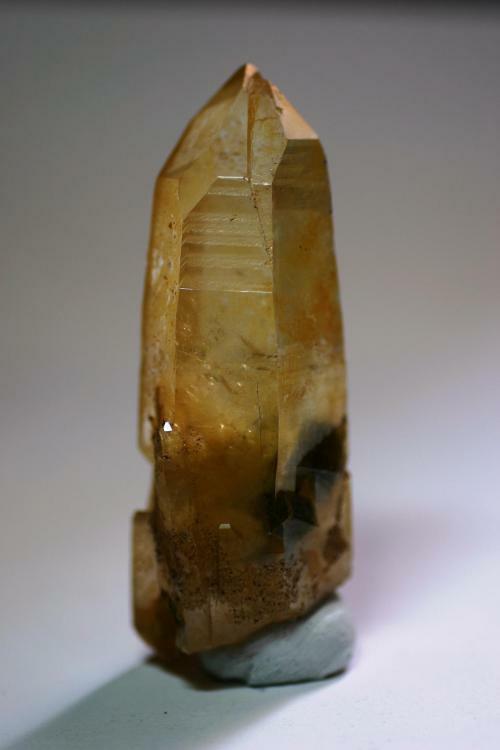 I have seen similar stones produced from haematite-coated so-called 'Orange river' quartz from Namaqualand, South Africa. In that case they are not inclusions, but overgrowths. Are your spots embedded, or exposed? I have many examples, here is one of my favorites. I do not have a photo of the whole specimen, but will take one and post it later. Here is the whole piece. 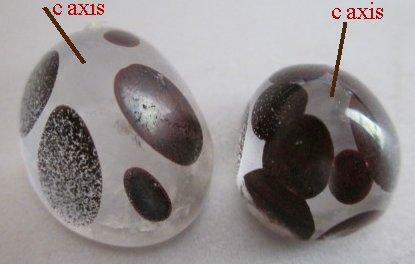 All of the side faces have been polished, otherwise you would not be able to see the inclusions. The cookeite xls are all on one plane and the apatite xls, which came later, are on another parallel plane. Again the piece is 8 cm across. 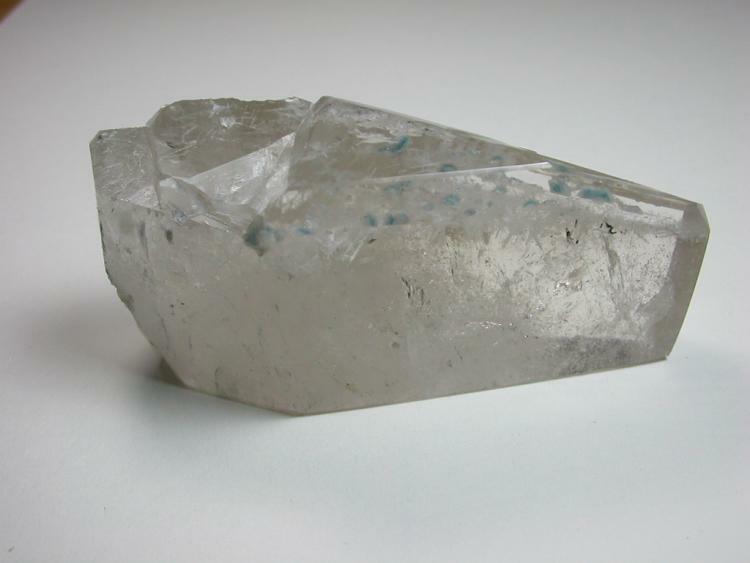 Quartz and calcite are the two minerals I can't get enough of. 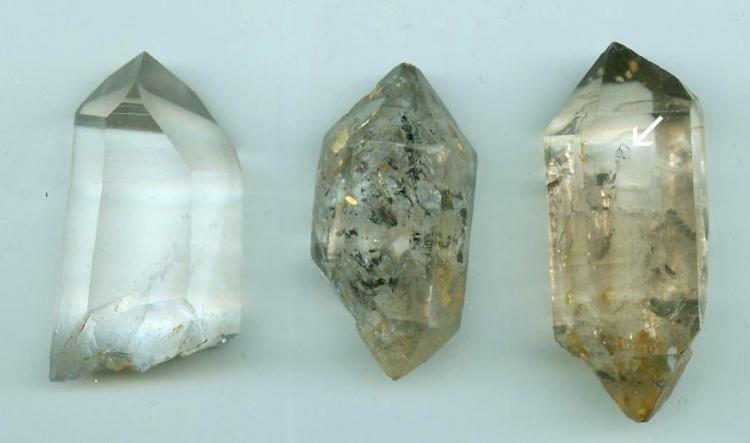 Below are 3 quartz crystals with variations on the rhombehedral faces, the one in the middle I chose as an example of almost equal r and z faces so I could try to explain what I thought about the polka dot cabs (see next post). The one on the right has a nice two phase inclusion (see close-up). I believe the sphere is a gas bubble with smootch (technical term) adhering to its surface -- a fun one to use in demonstrations as it is easily seen moving around. I believe this and the middle crystal are from Nepal - purchased long ago at the Syracuse show and have used it so much that I no longer have documentation attached. John, I love that specimen and the view of the apatite crystals in cross-section. Do they break the surface and stick out? or is that a sideview of a plane within? Left, unknown; Right two Nepal? 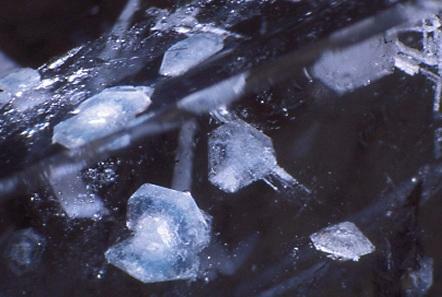 Close-up of two-phase inclusion shown in quartz crystal at right (arrow), same orientation. Hi Duncan, I hope you can laugh with me (not at me) re my kitchen table rendering of phantoms -- the blooms look more egg-shaped then they actually are because of the perspective; they are tilted towards the c axis and are exactly parallel, stacked one above the other - I believe parallel to the original rhomb faces. 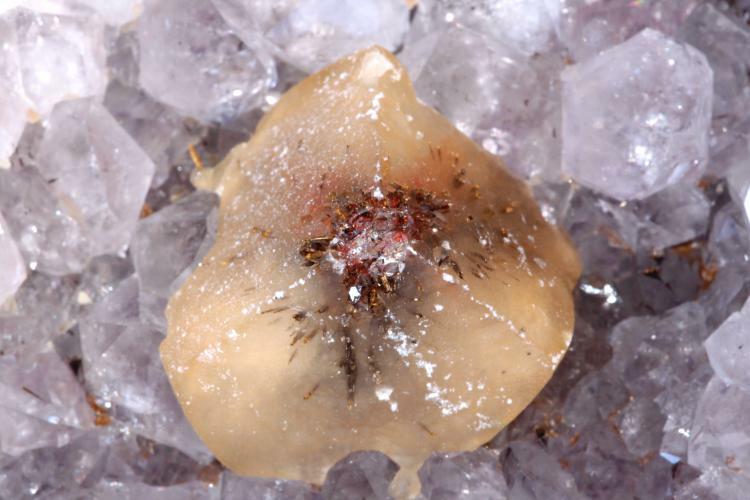 There may have been ones on the original crystal face surface; otherwise the first stack is below the surface of the cabochon (the lapidary ground and polished the terminus off until left with the layer of blooms). 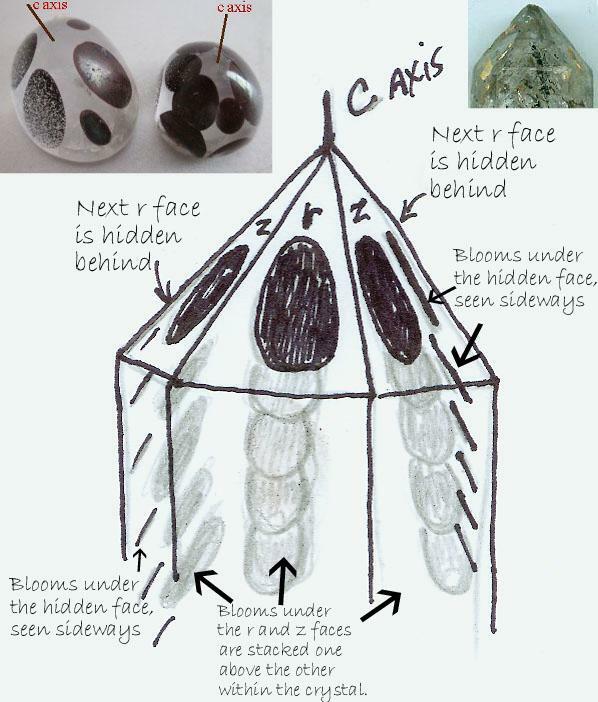 In the drawing, I tried to show how I thought the original crystal might have looked; the blooms under the faces hidden behind are seen in side view (through the visible faces) to show that they are just below the surface. Sorry this isn't very accurate, but I hope gives an idea of what I think is going on. I actually think it is probably a mixture of several minerals in the blooms, but did not get that far looking at it yet. Elise, you have tapped into a vein that runs rich and deep in the collector community. Mineral Inclusions is/are actually a very broad category that can be broken down on the basis of inclusion grain size (from coloring agents to mega-inclusions), related versus unrelated species (species sequentially deposited from the same fluid versus accidental inclusions..."dirt" sifted onto crystal faces during growth) and formation mechanism (embracing minerals that exsolve from an earlier phase on cooling versus overgrowths). There are also liquid inclusions (enhydros in rockhound parlance) that also form in a number of ways...and you can carry the study deeper by looking at the "daughter" minerals that precipitate from the trapped liquids!). There are actually several historic threads on FMF that deal with certain specific included materials...from those leading to general coloration...Prase (green quartz colored by very fine-grained amphibole-pyroxene inclusions; to oriented fine-grained inclusions that create optical effects...Asterism (aligned inclusions in corundum...probably an exsolution phenomenon rather than trapping); to slightly coarser inclusions that can be discriminated with the naked eye that give color and/or optical effects...Strawberry quartz (wispy to whiskery hematite inclusions in quartz...see work by co-moderator John S. White)...to oriented mega-inclusions...your hematite plates and the galena phantoms in fluorite below)...to (apparently) randomly oriented mega inclusions ("psilomelane" in quartz below). 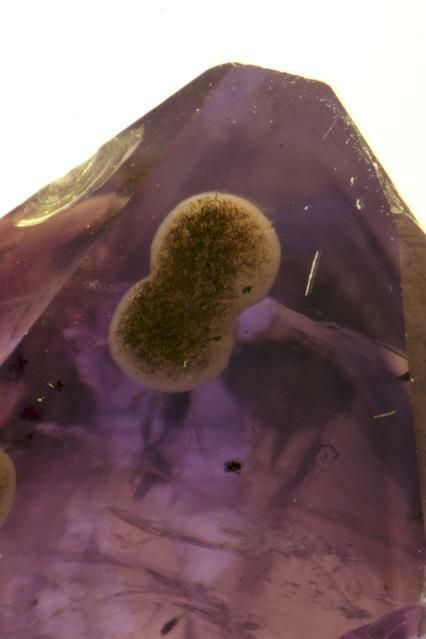 Rhombohedral calcite crystal with "actinolte" inclusions. 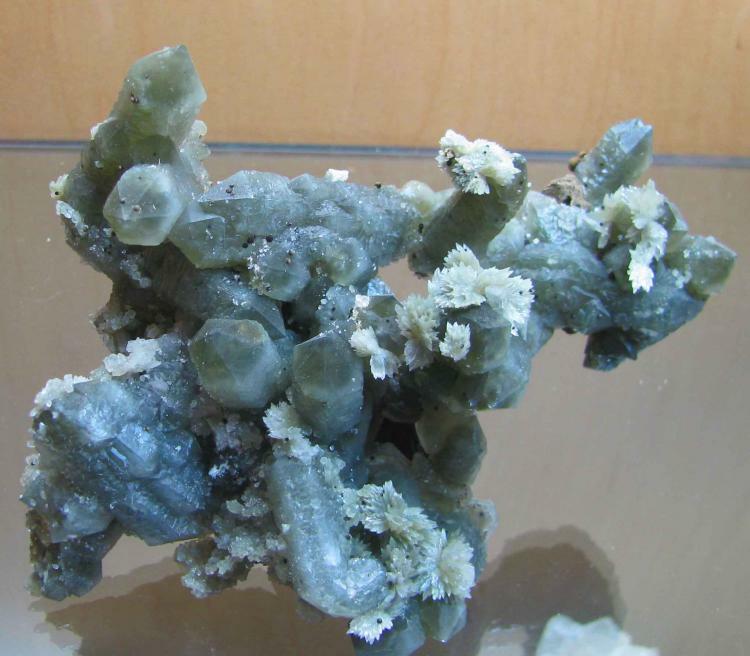 Actinolite has same origin here as in the quartz from San Antonio above. 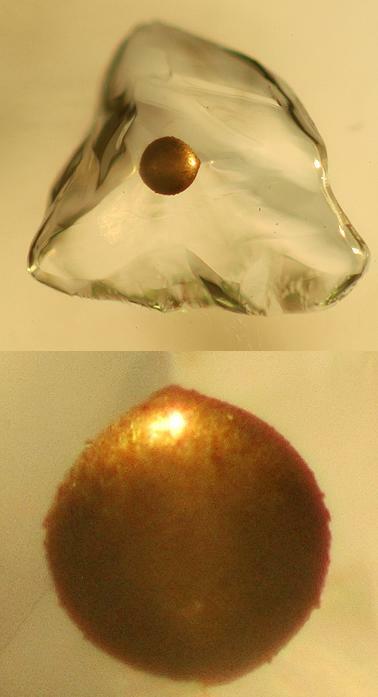 Phantom created by galena growth on early octahedral growth stage, contrasting nicely with final modified cubic growth. 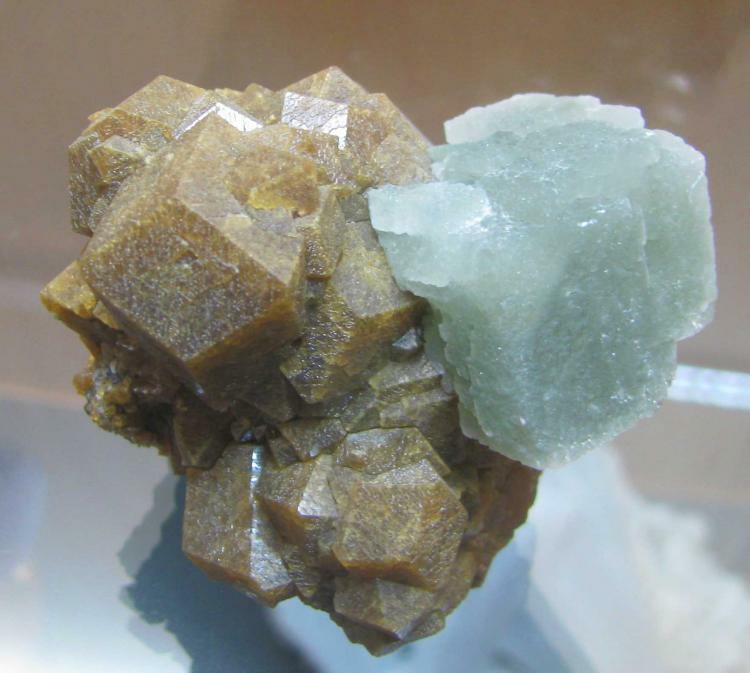 Elise, the apatite is seen through the quartz, it was not broken to expose the crystals. Here is another favorite of mine. 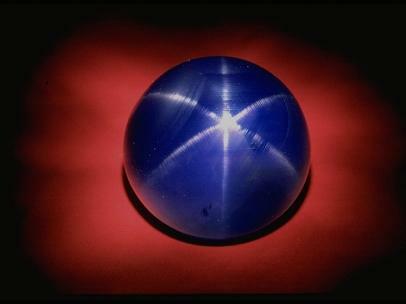 The black dot is a spherical bubble that is coated by some form of carbon. It moves back and forth about 5 millimeters, and is only about 2 mm in diameter. 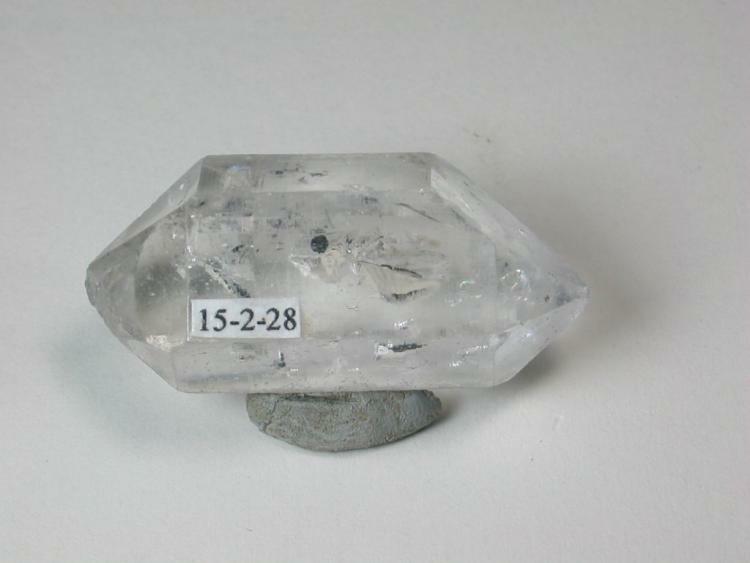 The quartz crystal is 4.8 cm across. The locality given to me by the dealer is Zhao Tong, Yunan, China. Perhaps it would be nice to collect some links to those separate FMF threads within this current thread. This might make it a very useful and interesting resource. As some probably know, I am a great fan of John Koivula's work. One of my best memories is of sitting in the Koivula's livingroom while John gave me a tour of some of his favorite specimens - the dialogue was as much fun as getting to see the actual pieces. John White put a notice about the PhotoAtlas series here on FMF: https://www.mineral-forum.com/message-board/viewtopic.php?t=1112 I would think that these books would be of great interest to the mineral world; they certainly have been a very valuable asset to my collaboration with mineralogists. They just don't seem to be well known outside of the gem world, at least in academic circles. "A quotation from a 1743 book by Henry Baker, "The Microscope Made Easy, " provides a fitting admonition for all inclusionists involved in the many problems of phase (and artifact) identification in fluid inclusions (Dr. Edwin Roedder, 1992): "Beware of determining and declaring your Opinion suddenly on any Object; for Imagination often gets the Start of Judgement, and makes People believe they see Things, which better Observations will convince them could not possibly be seen: therefore assert nothing till after repeated Experiments and Examinations in all Lights and in all Positions. 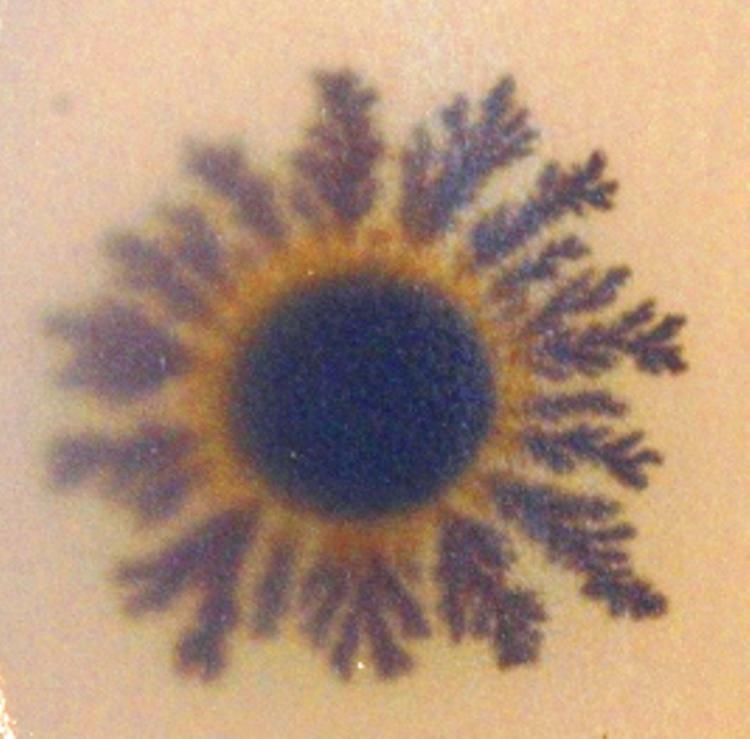 When you employ the Microscope, shake off all Prejudice, nor harbour any favorite Opinion; for, if you do, 'tis not unlikely Fancy will betray you into Error, and make you think you see what you would wish to see. Remember that Truth alone is the Matter you are in search after; and if you have been mistaken, let not Vanity seduce you to persist in your Mistake."